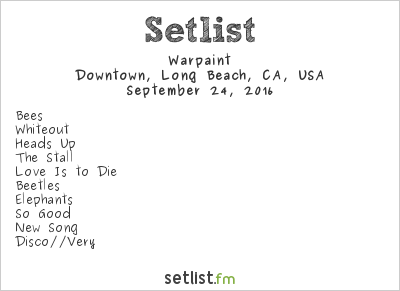 Home > Warpaint Radiated Flawless Synchronicity At Music Tastes Good > Warpaint at Music Tastes Good 2016, September 24th. Setlist. Warpaint at Music Tastes Good 2016, September 24th. Setlist.